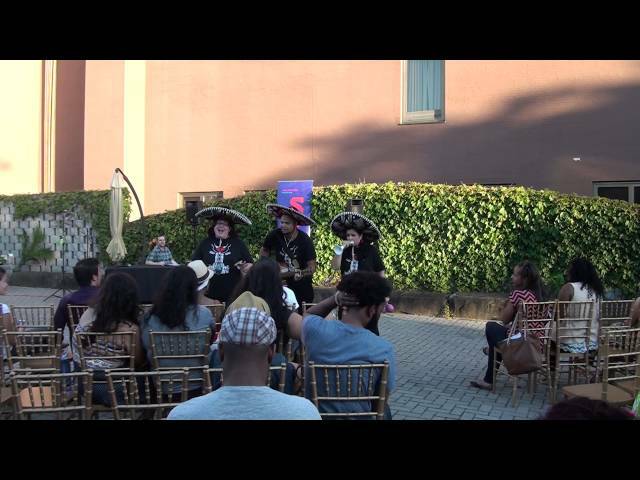 The World's ONLY Improvised Mariachi Band! 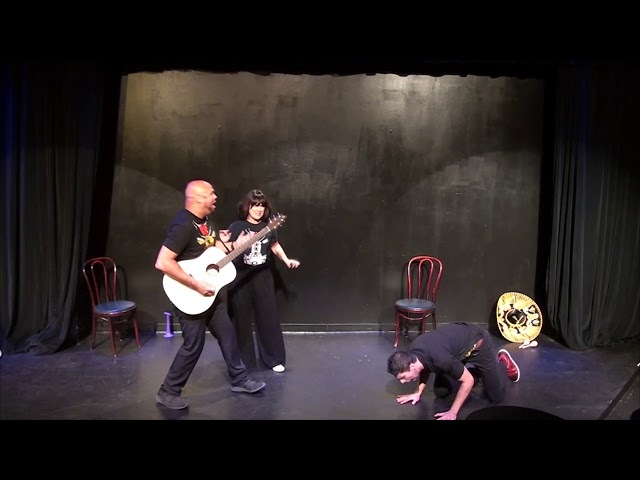 Los Improviachis set up their own show con Stage773's Diversicabification series! Special guests included Ratas De Dos Patas opening! We performed a small set of improvisation at iO Chicago. The crowd was left wanting more! For more information, please visit http://losimproviachis.com. 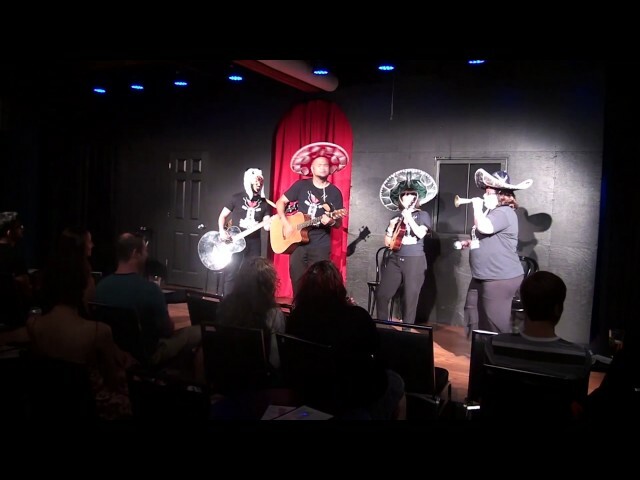 Los Improviachis brought their audience interactive show to iO Chicago! 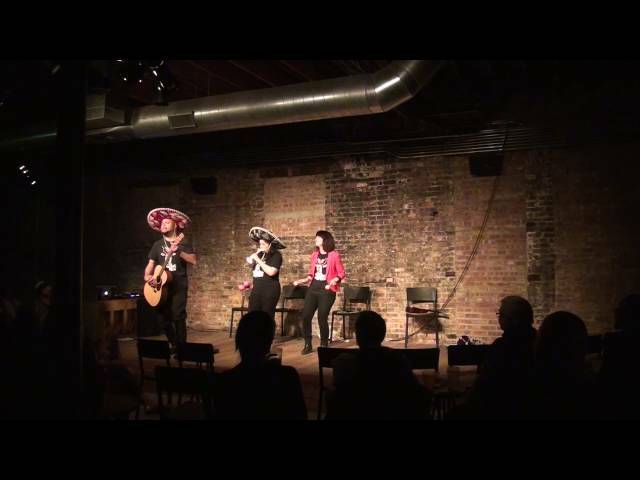 Los Improviachis bring their talented brand of improvised mariachi to iO Chicago! Here is a rare apperance of El Oso Poderoso! Los Improviachis brought their tried and true show to The Second City for the Chicago Improv Festival 19! Lots of fun had by everyone! 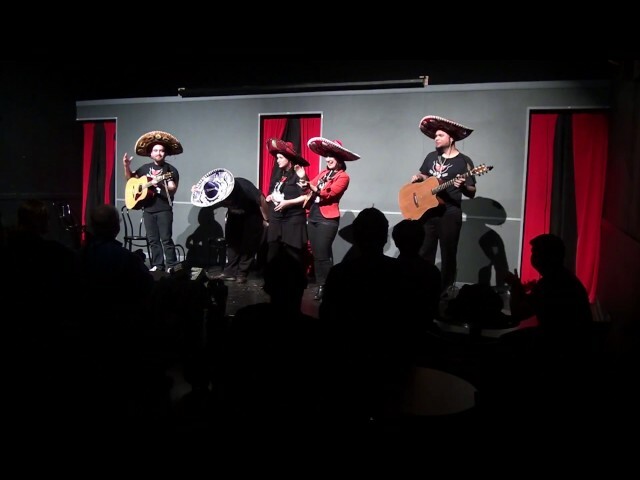 Los Improviachis played a show at the renowned Second City Donny's Skybix Theatre with their amigos Stir Friday Night! Mire los hijinks that ensued! Los Improviachis played the main stage theare at The Crossroads improv Festival at Theatre On the Square in Indianapolis. Witness their return! 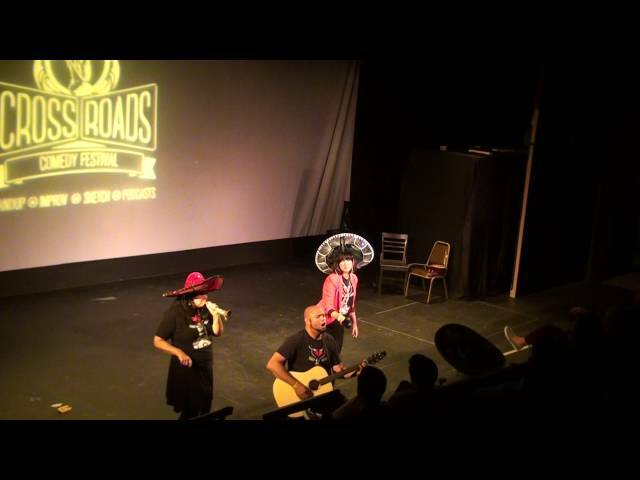 Los Improviachis returned to the Crossroads Comedy Festival with their brand of improvised mariachi! 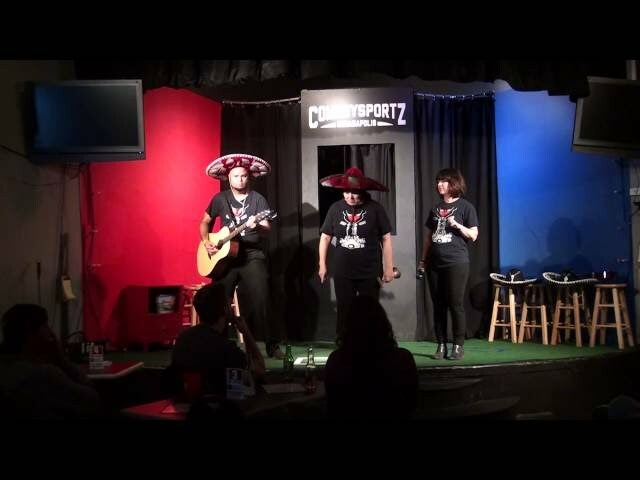 We got to play in the venerable ComedySportz Indianapolis! Lots of fun to be had by all! 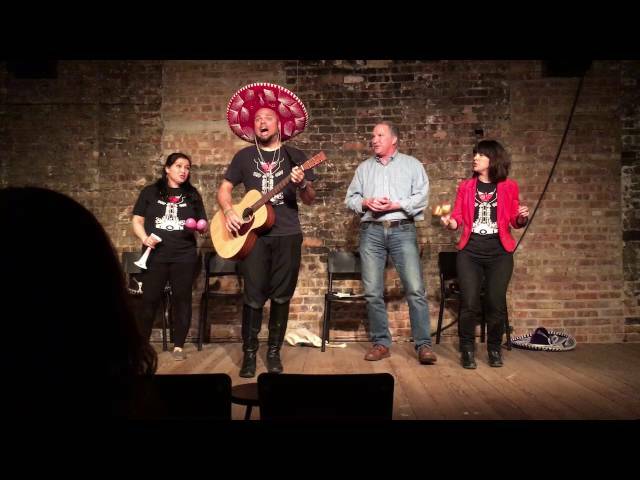 Senor Vicente Foxxx, Corazoncito Allegria, and Stephanie Hall took the Chicago Improv Musical Improv Festival by storm this year! The brought their mariachidom to the northside of Chicago and made new amigos in the long run! 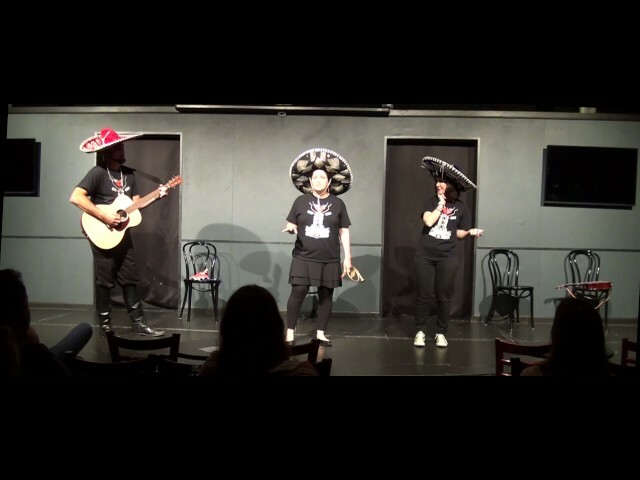 Los Improviachis played at The Revival Theater as part of The Chicago Improv Festival 2016! Lots of great audience participatory musical improvisation and laughter! 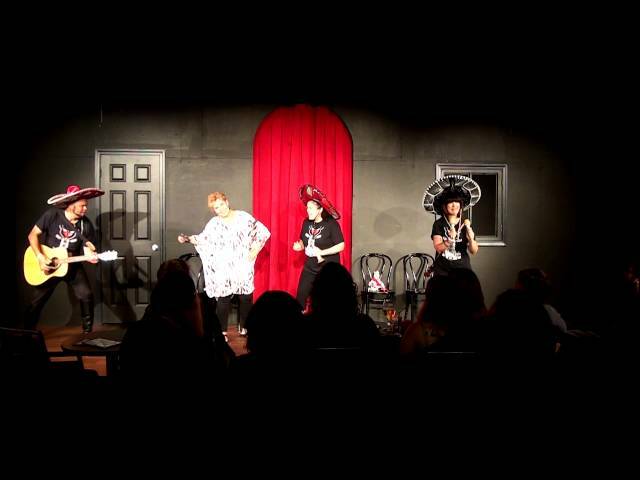 Los Improviachis played in the 2016 Chicago Improv Festival! Here's a snippet of them playing with an audience member named Dan in a song off their Greatest Hits Record called "Choco DoWop"! Los Improviachis performed at theWBEZ 91.5 FM Bronzeville Comedy Showcase in the Bronzeville neighborhood in Chicago along with many other comics and groups. Special thanks to Sarah Ballema for inviting us out!